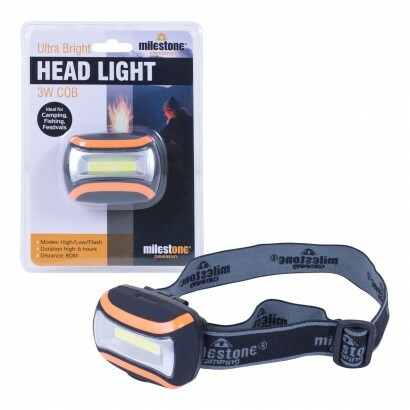 A hands free light source with a 180 degree light, this ultra bright head torch has high and low light intensity settings and a flash setting for emergency signalling. 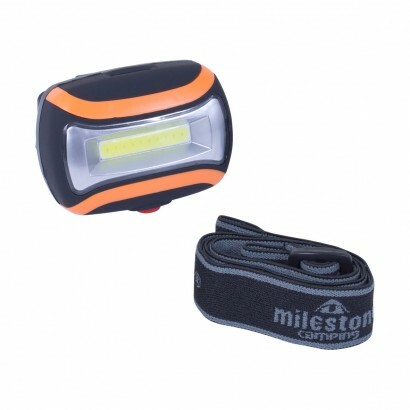 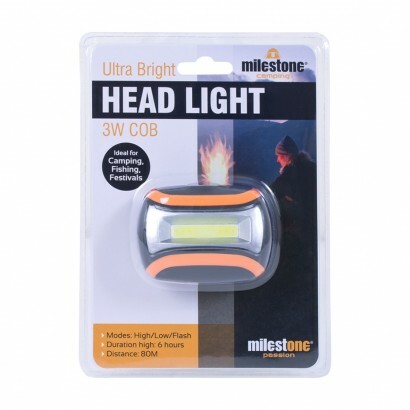 With a beam range of up to 80m, this light weight head light is perfect for camping, night sports and outdoor activities allowing you to illuminate tasks or guide your way whilst leaving your hands free. 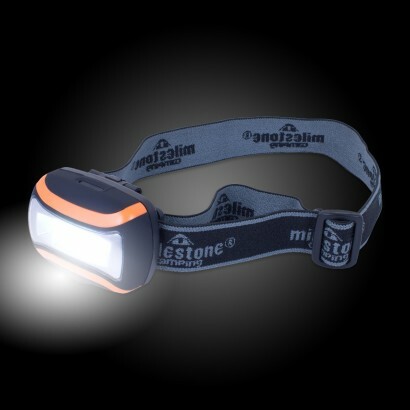 It's soft rubber casing and adjustable strap allow for maximum comfort and with a six hour life span, you will have enough light for whatever the night brings!